It may seem like your grocery bill is constantly creeping up and as though there is seemingly nothing that you can do about it. While it is reasonable to expect food prices to gradually trend upward, you actually can take steps to keep your groceries expense to a minimum. Large batch cooking essentially means that you double or triple a recipe. You can place the meal in several dishes and store the dishes in the freezer for use at a later date. At first glance, this may seem impractical or as though you would spend the same amount of money overall. By learning more about how large batch cooking works, you will see that this is a financially-savvy way to tackle your food expense. Healthy dining shouldn’t be something that’s limited to people who have fancy personal chefs working for them. If you have a passion for cooking, then there are all sorts of amazing healthy cooking options on hand for you. People who want to approach food preparation in an elegant and nutritious manner can rely on all sorts of pathways nowadays. Preparing your own foods at home is essential for superior health. Compared to eating at restaurants, it also may be more affordable. As beneficial as cooking at home can be, it also can be dangerous to you and to your home. These are a few of the simple cooking mistakes that could result in serious damage to your home. Food is one of the great joys in life, as well as being an essential part of your everyday routine. Unless you are wealthy enough to have your own personal chef whipping you up something delicious three times a day, it is worth taking some time to hone your cooking skills. Like anything in life, practice makes perfect, but there are a few simple tricks and techniques that you can follow to improve your dishes. Cooking has never been easier with the Whirlpool Sunset Bronze Gas Convection Range. Your holiday dinner and baked treats will be a pleasure to cook this year. With this 5.8 cubit ft self-cleaning gas slide-in range, you can prepare a delicious meal in no time flat! 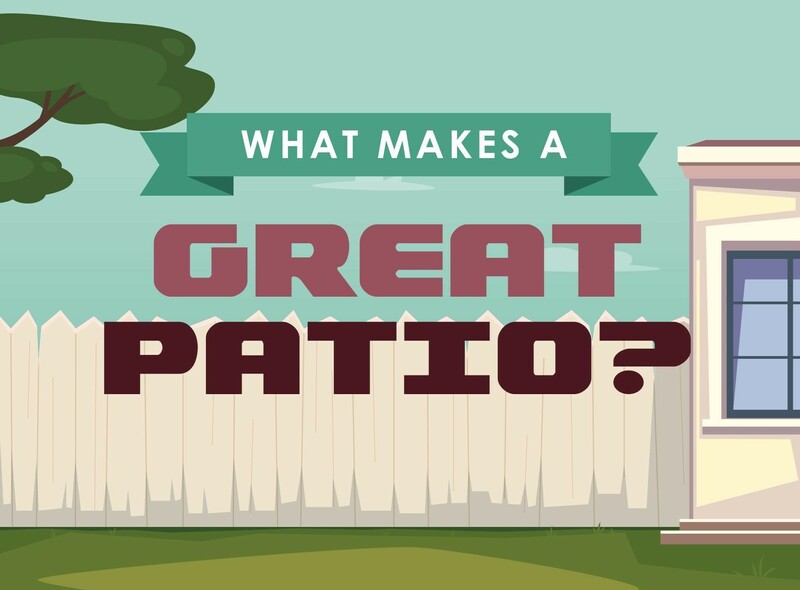 What Makes a Great Patio? When you have a large family or like to throw parties every now and then, having plenty of entertainment space in your home is important. While an upgraded living area or a kitchen works great, it’s also ideal to create an excellent outdoor space whenever possible. Mother Nature is the best exterior designer and she shows off her chops during summer and spring when the outdoors come alive with blooming flowers, nice breezes, bird songs, and the refreshing aroma of freshly-mowed grass. Is your home’s patio living up to her standards?